Sometimes diet and exercise aren’t enough to lose weight because underlying hormone imbalances and medical disorders sabotage your efforts. At Summit Weight Loss in Union City, Tennessee, you receive medically-supervised weight loss that provides all the support you need to lose weight and maintain your health for the long run. 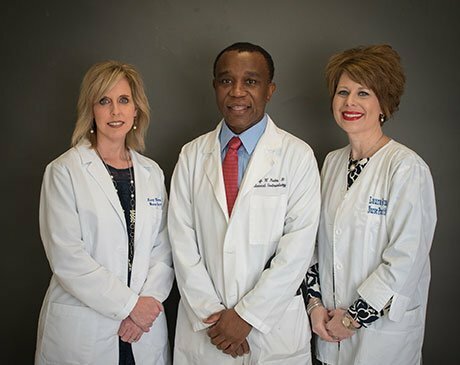 Their highly experienced physician, Dr. Kofi Nuako, develops a customized plan based on your unique metabolism, hormonal disorders, and other physical weight loss issues. The team at Summit Weight Loss teaches you about balanced meal plans and food addictions and talks about ways to break bad habits and get into an exercise routine, all while providing ongoing encouragement. They also have meal replacements that ensure you get the nutrition you need while reducing calories. Their treatment approach — taking care of medical and hormonal issues, combined with professional support, and meal replacements — produces fast results that you can turn into a sustainable lifestyle. You also have access to the Obalon® Balloon System, which kickstarts your weight loss by placing medical-grade balloons in your stomach. As the balloon takes up space, it’s easier for you to eat less. You can easily swallow this one-of-a-kind weight loss product. It’s entirely reversible, and it’s proven to help you lose more weight than you would on diet and exercise alone. The balloons stay in place for six months, which is the perfect time to learn about healthy diet and habits. When you’re ready to lose weight, you don’t need to do it alone. You can rely on the team at Summit Weight Loss to work with you every step of the way. To learn more about the services available at the weight loss center, call the office or book an appointment online.